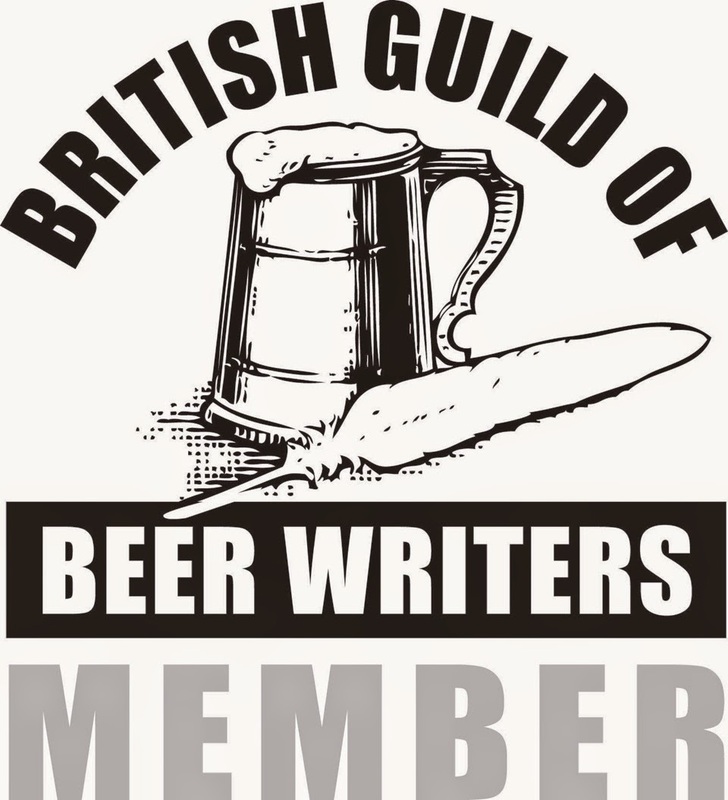 We are delighted to announce that Hammerpot Bottle Wreck Porter has been awarded Gold in the Porter category at CAMRA’s National Winter Ales Festival, at Manchester, from 18-21 January. 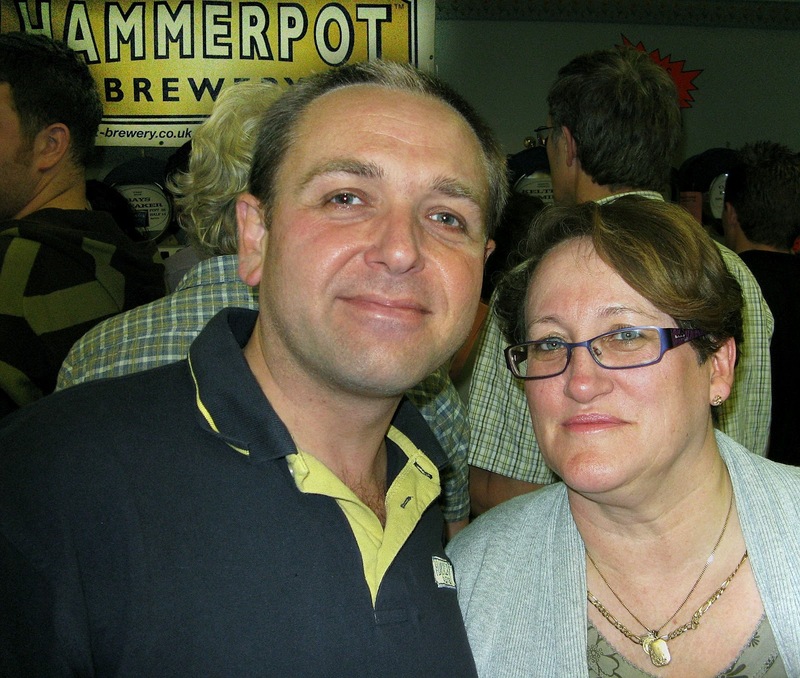 Based in Poling, near Arundel, West Sussex, Hammerpot Brewery was established in 2005 by Lee (pictured left with his wife at the 2010 Worthing Beer Festival) with the intention of producing distinctive, quality craft brewed beers. They now produce at least twelve different beers throughout the year and continue to pursue those same aims. 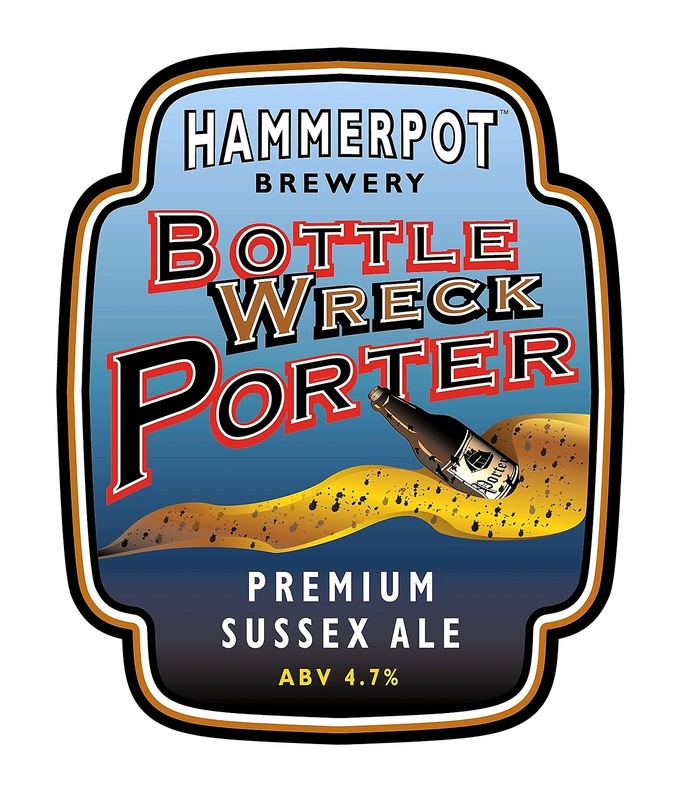 With their 5-barrel plant, Hammerpot are a micro brewery in the truest sense and are delighted to be able to show that smaller end of the independent brewery sector can make beers worthy of national recognition. 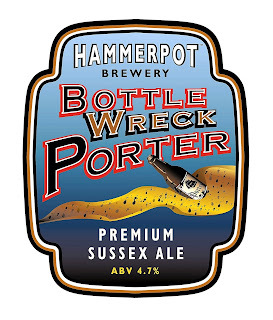 This award confirms what real ale drinkers in Sussex have long thought: that in Hammerpot Bottle Wreck Porter we have a great beer that is worthy perhaps of even international recognition. This golden achievement is testimony to the superb quality of this outstanding porter. Our congratulations go to all at Hammerpot Brewery.